Double glazed windows are the perfect choice for energy efficiency and noise reduction. The sealed air gap between the two panes of glass act as an extra layer of insulation, reducing the amount of heat which escapes out your windows in winter. However, during the summer months, the double glazing prevents unwanted heat from getting into your home. This saves energy as there is less reliance on heating and air conditioning throughout these month. Inward opening (also known as tilt-and-turn) windows are traditional to Central Europe. DK13-2k Window is a solid wooden window with the 78 mm profile system and Argon filled double glazing unit. Window opens inwards in two ways – traditional side hung (turn) and the ventilation opening (tilt from top of the sash). There is also micro ventilation possibility. In addition, ventilation restrictor device can be added to hardware to enable to fix the position after tilting sash. Maximum weight of sash is 100 kg. Available also as double sash french window (without mullion). The idea of an outward opening double glazed window is developed in Scandinavian countries in harsh climate conditions: in Denmark and in Norway such windows have been the main solution in building practice. The construction of an outward opening double glazed window is designed to have excellent performance and functionality during different season through the year: in high humidity, in dry conditions, while it is cold or hot. Gaskets and insulated glazing units used in the design ensure air tightness and energy efficiency. Carefully chosen wood and the use of tested hardware prolong window’s life span. In addition to the traditional side hung opening type there are also projecting opening types in DK’s product line to enable easy access for both sides of a window for cleaning purposes. In DK Window’s product lines outward opening double glazed window is named DK-12 Window. It is best described as a traditional window with double glazing, slim frames and internal moulded profile (see the illustrations below). Modern, enduring, energy efficient, sustainable. Traditional, enduring, energy efficient, sustainable. A window with traditional design. 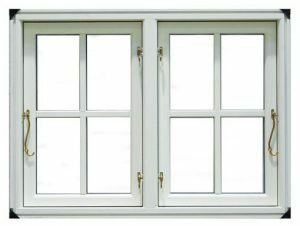 Starting from the frame height 524 mm window has practical function to fix the casement by locking handle. Available as double casement french window (without mullion) and in case of need can be used as an evacuation opening. Up to 1,6 m high casements. Sliding hinges hided into the groove between the frame and the casement provide modern look and increase security. The casement of this type can be turned sideways aproximately 90° which enables access for cleaning. 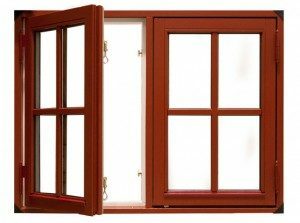 Available also as double casement french window (without mullion). 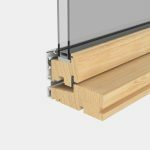 Up to 1,84 m² opening casement. Sliding hinges hided into the groove between the frame and the casement provide modern look and increase security. In case of need this type can be used as an evacuation opening. It is recommended to use top guided window in places where it is possible to clean window from the outside: groundfloor, balconies ect. 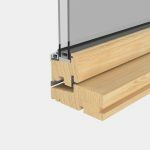 Up to 2,05 m² opening casement is a real light catcher for your home. Sliding hinges hided into the groove between the frame and the casement provide modern look and increase security. The casement of this opening type can be turned around approximately 180º for easy access. So it can be used on higher floors. DK-12 windows can be made to look old style. For that purpose the finger locks should be specified. Fixed light is a simple solution which includes a galzing unit installed directly to the window frame. This is a way to increase light gain inside. A more complex variation could be a window with a fixed casement. This could be a case of historic buildings where it is required to maintain outside face. DK Window’s product line also include wide variety of dividing possibilities for frames and casements: mullions, transoms, glazing bars and applied bars on glazing units. Single multilight window frame can be as big as 2,5 x 3,2 m.